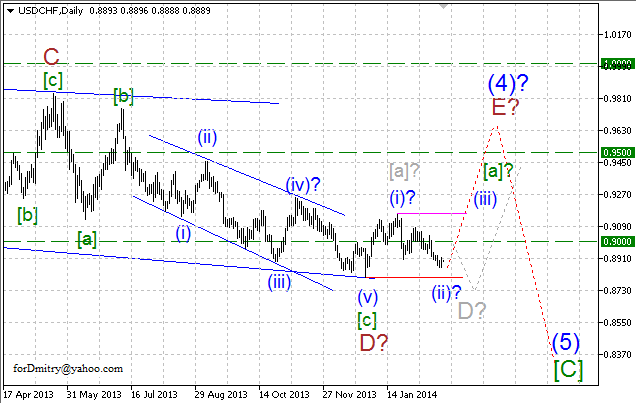 Probably, Euro is forming final descending zigzag(E) of [B]. 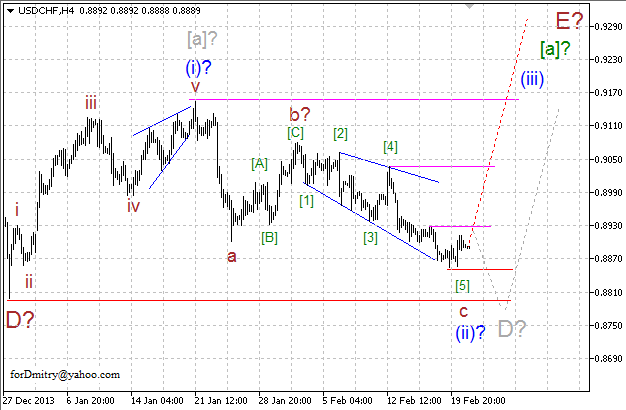 However, this assumption hasn’t been confirmed and price may yet change structure of wave (D). 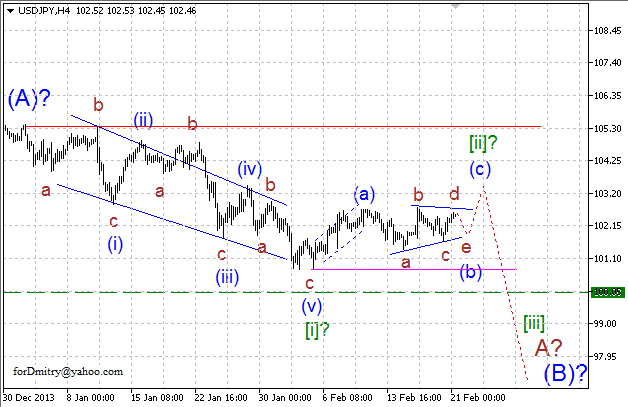 Probably, price is forming the first “leg” A of (E) of descending zigzag(E). 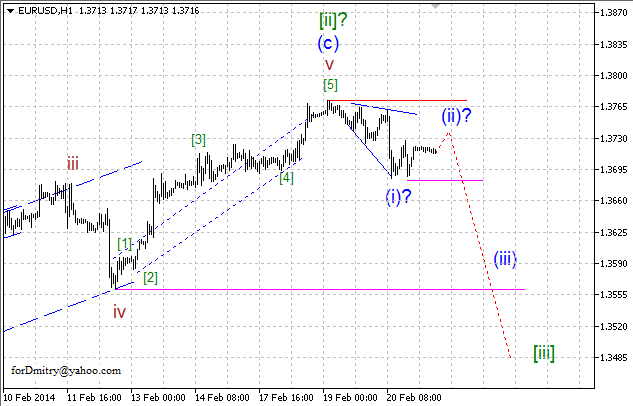 Pair finished ascending correction [ii] of A of (E) started new descending movement inside impulse [iii] of A of (E). Possibly, pair completed ascending correction [ii] of A and started forming wedge(i) of [iii] of descending impulse [iii] of A. Internal structure of latest ascending structure may look more like impulse 1 of (C) of [B] than zigzag. 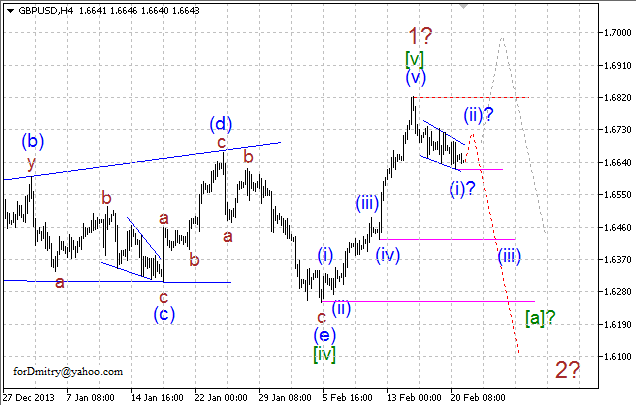 In this case, Pound may have already completed descending correction (B) of [B] in the form of flat and right now price is forming the second “leg” (C) of [B] of ascending zigzag[B]. Probably, pair has already completed ascending impulse 1 of (C) of [B], which may be followed by descending correction 2 of (C) of [B]. 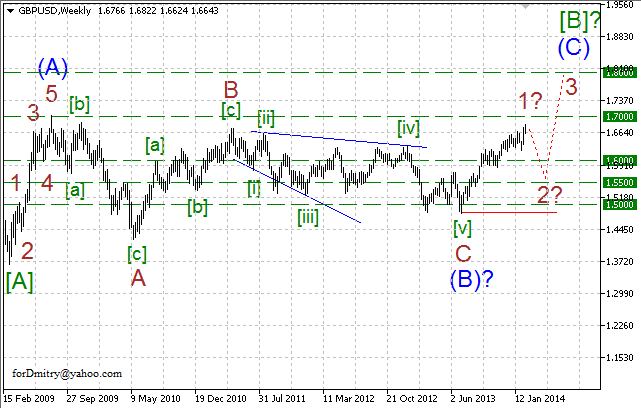 Probably, Pound has already finished final ascending impulse [v] of 1. 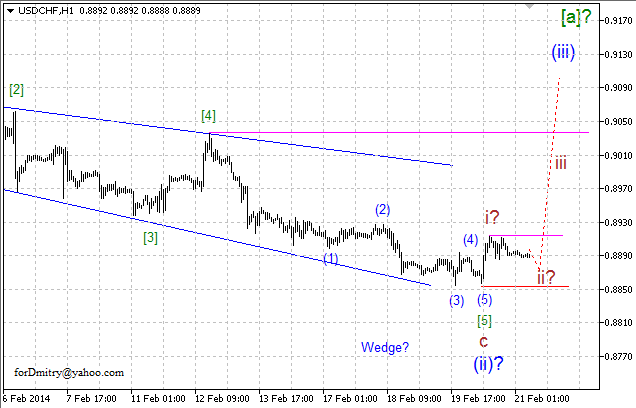 In this case, price is expected to start forming descending correction 2. Possibly, pair has already completed ascending impulse [v] of 1 and started forming descending correction 2, may be in the form of zigzag. 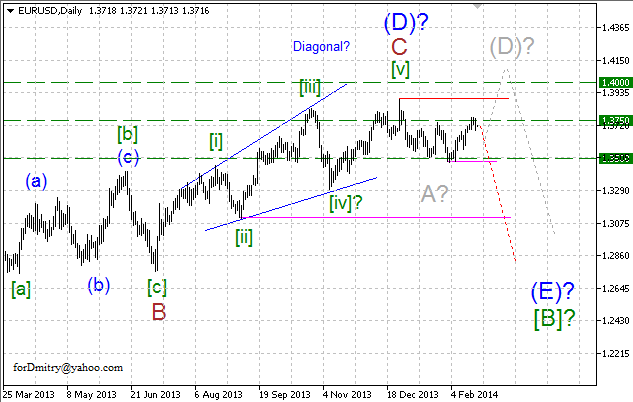 Probably, Franc completed descending zigzagD of (4) and started forming final ascending zigzagE of (4) of [C]. However, this assumption hasn’t been confirmed and price may yet change structure of wave D.
Possibly, price has already completed descending correction (ii) of [a] of E of ascending zigzagE and started forming ascending impulse (iii) of [a] of E.
Probably, pair has already finished descending correction (ii) of [a] and started ascending impulse (iii) of [a]. 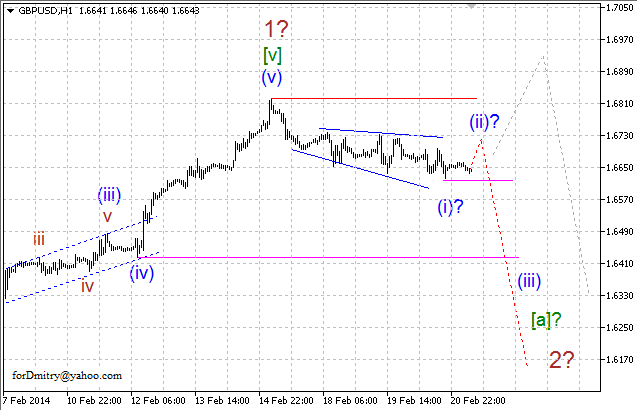 Probably, Yen finished ascending impulse (A). 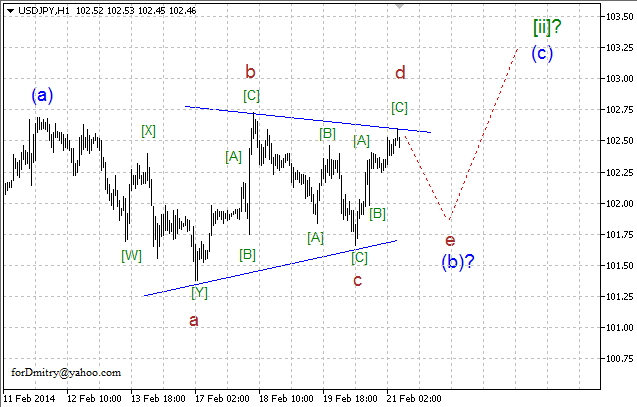 In this case, price is expected to start large descending correction (B), may be in the form of zigzag. Possibly, pair finished diagonal triangle[i] of A of (B) of horizontal correction (B). 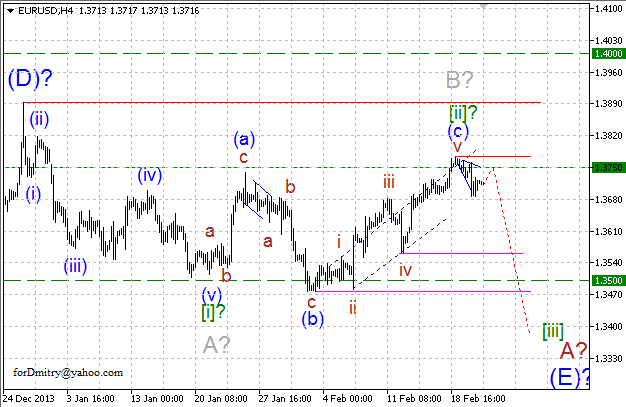 Right now, price is forming local ascending correction [ii] of A. 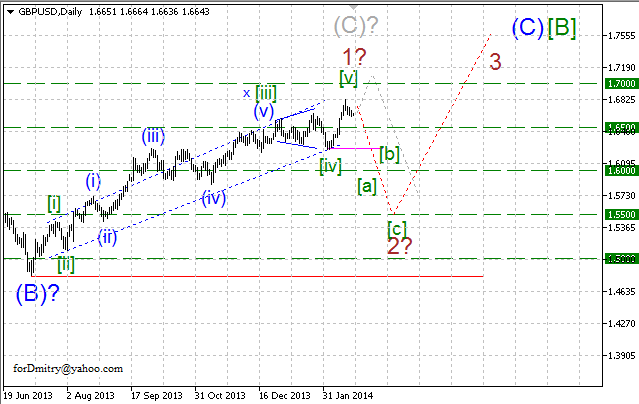 In this case, later price is expected to continue falling down inside impulse [iii] of A. 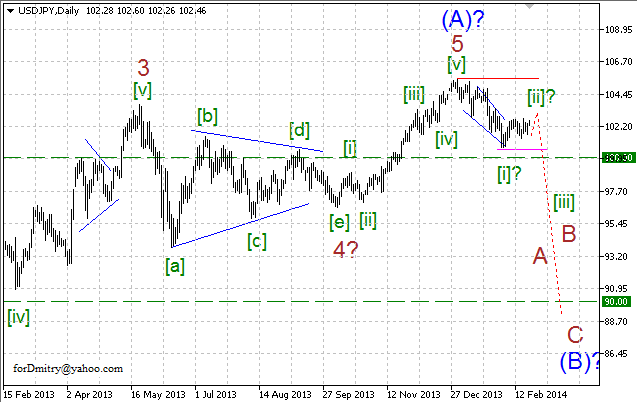 Probably, price is forming ascending correction [ii] of A, may be in the form of zigzag.